Plan. Prepare And Prepare Some More. You’ve already done the hard part. You’ve decided to host a barbecue and invite people over. Kudos to you, we could not have done it. Let’s be honest, hosting a barbecue is a lot of work. Hosting in general really is a pretty tough task to begin with. 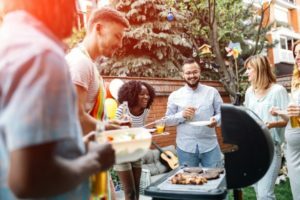 From remembering every little thing to actually providing, every single little thing… hosting a barbecue can be difficult, especially if it’s your first. You want to impress your guests and make sure they have a good time since they are taking the time to come over to your space. Do you have a gas or charcoal grill? Will your guests have a preference? Will there be vegans and vegetarians in attendance? How much will this BBQ cost me?! 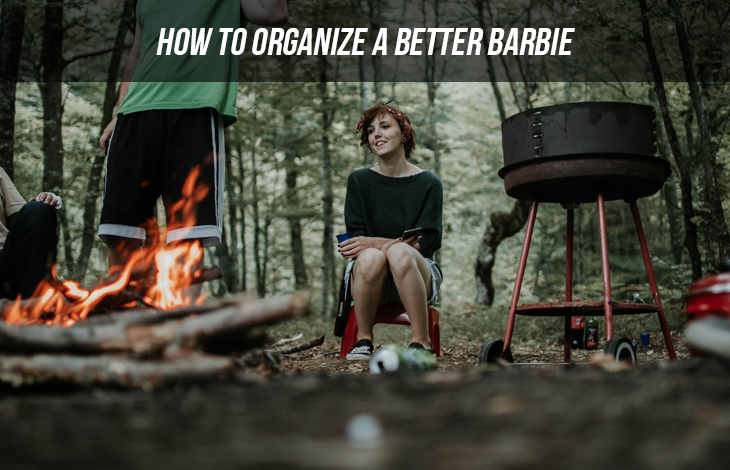 We cover a few tips for pulling off the best barbie ever. We know that you are a genius with a photographic memory that remembers what you ate that random Tuesday afternoon in January 2009. 10/10 times you will forget something. It’s just how it goes. There are so many things to remember, so many details, people, and moving parts….do yourself a favor and create a running party checklist to give you a peace of mind. Because it’s a small, seemingly minor item in scale to the food, people often forget the essentials. We are talking napkins, cups, utensils, plates, saran wrap for people who want to take home a plate. Add it to the list mate! Potlucks get a bad rap and rightfully so. However, if you know your guests and you know that some of them can throw down in the kitchen, relieve yourself the hassle. Give your barbecue a theme and make it a potluck. You make sure you provide the heavier, pricier main entrees, but consider reframing your barbecue into a potluck if things get too stressful. Also, make sure guests get their proper credit when one of their dishes gets empty quick! Ok we aren’t saying this is the most important. But entertainment is a close second to the actual food (and drinks) that will be served. Make sure you’ve got several activities flowing at your party to keep your guests entertained and happy. The happier your guests are, the more memorable the day will be. Entertainment in any form is crucial. If the barbecue will be held outside, we recommend getting a Bluetooth speaker to play music outdoors while you grill. Play a themed movie if there are guests congregating inside, in fact, have a few designated movies on display to make it special. Games are always a hit, with children and adults alike. Have some outdoor games available as well as card and board games for inside. Lastly, don’t forget to start up good conversation and have a good time. It is your job to make your guests feel right at home and they too will help warm up your barbecue. Make pointed introductions and ensure all guests, even the quiet ones, feel comfortable and welcomed.